I have fallen way behind on my journal this week partially due to a few days of being busy followed by a few days of being sick and a day or 2 of laziness throne in for good measure. I will try to refresh my memory enough to make this journal mostly fact and not fiction but may end up getting a few things into the wrong time frame. Perhaps I would be better off starting with writhing about today’s happenings since that is still a bit fresh in my mind. Woke up and then made pancakes for breakfast. Or was it French toast? No that was yesterday. Waite a minute, did I remember to eat breakfast this morning? Know what? I think I will just start with Monday. At least that way I will have an excuse for getting some of the facts wrong. Ralph and his grandson Nick accompanied me to Antigua this morning. They decided to wonder around Antigua and do a bit of souvenir shopping while I swam with some of the kids from the orphanage. It never ceases to amaze me that some one will actually buy something and then cart it all the way home from Guatemala then throw it in a closet and never again look at it once they get it home. I wonder how many closets are full of machetes, carved masks, and clothing that no one in Canada or the United States would ever wear to anything other than a costume party? Oh well it certainly helps the economy here. At noon Ralph and his grandson returned with their newly acquired souvenirs so the 3 of us took Gaspar, David, and Sonia out to Burger King. 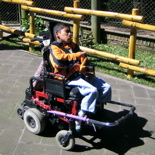 As soon as we got back to the orphanage Carlos joined us and we headed of to where Maria and Fernando live. They are the brother and sister of Arcadia, the lady that died a few weeks ago. We wanted to see how the family was doing and also wanted to bring them out some groceries. Maria had actually gone to town with some neighbors. It always surprises me how many times she is gone when we visit her family. 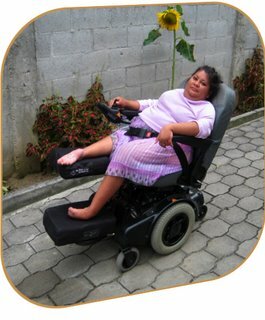 She is able to get out of her wheelchair but is extremely stiff and has great difficulty walking even with the use of her walker. I think that it is her determination that keeps her going and that is perhaps the reason that she is not bed ridden like her younger brother Fernando. Fernando was lying in bed in the small smoke filled building that also serves as a kitchen. Unlike many of the wood cook stoves that we often see in the homes this one had a chimney that stuck out of the roof but it seem to do little good. 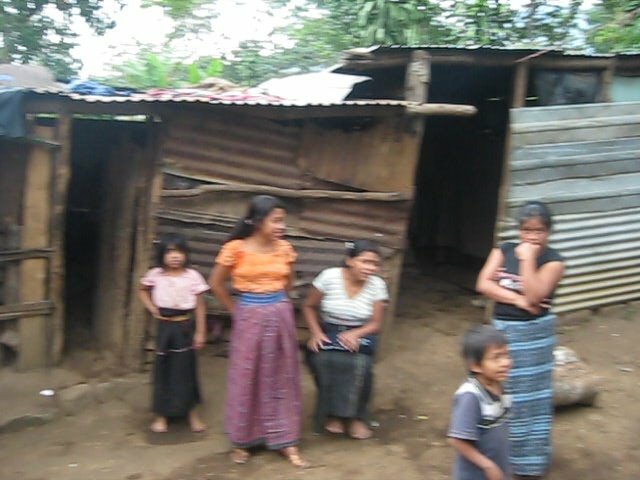 Many of the ladies that cook over nonvented wood stoves here in Guatemala suffer from some type of repertory problems. Fernando seems more alert lately though. A few months ago I didn’t think that he had more than a week or 2 to live but he seems to be hanging in there. We once again discussed the possibility of replacing the mud hut that Maria sleeps in, but I had to tell them that they would have to wait until we could get the funding for it. Grandmother was in tears when we gave her the food and Carlos handed Fernando some money. After dropping Carlos off in Antigua and having some dinner we headed for home. Santa Maria De Jesus today. Amy Deyoung had promised that she would show us through the new school that her and Judy Kerschner operate. Up until this year they had met in a small rented building that barely housed them. 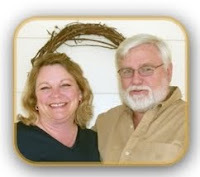 It was adequate when Judy started the school several years ago but they have long since outgrown it. The new 3-story building that was little more than a dream less than 2 years ago has been nothing short of a miracle. Hearing Amy tell how the land was found and how God provided the funding for it and the building was breathtaking. Now over 50 students (I think it is 58 but am going on memory) who would either not be in school or would simply be shoved from one grade to another with out actually even learning how to read or write are not only getting a good education but are also being taught by Christian teachers that are sharing the love of Christ with them. 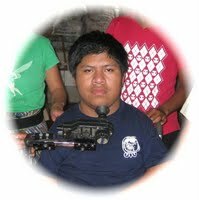 While we were there we did some onsite wheelchair repair as well. Both Louis and Blanki who have been to nearly all of our camps had wheelchairs that were in need of some TLC. My 4 friends who had never seen the school before were totally impressed with what is being done there. This was not my first visit but I was impressed as well. We got back to Antigua to late to take any of the kids to lunch but after getting something to eat ourselves we headed to the orphanage to see if we could get a few things done there. Ralph and Nick worked on some of the manual wheelchair while I installed a new micro switch on Byron’s power wheelchair. I had originally installed one on the front of his wheelchair back when I put it together for him but it had quit working a few months ago. Lately he had become a bit too careless with it and has taken out 2 cupboard doors that at one time had plate glass mirrors in them. Now with the micro switch installed Byron’s wheelchair shuts off when it comes in contact with something or someone. This frustrates Byron a bit because to get the chair going again he has to push a red button 3 times. Needless to say he soon learns that his chair cannot be used as a bulldozer. I had a bit of a sore throat and a headache when I got up this morning but didn’t think much of it. However by the time we got home this evening it was impossible to think of much else. Ralph and Nick didn’t mind being brought back to their motel a bit early because they had to get packed up to head back to Canada in the morning. After dropping them off I headed for home and had to tell the kids that it was the cooks night off. It had been my plan to accompany Chris, Saul, and Marcos to Xela this morning. 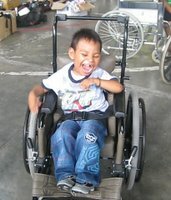 The orphanage there had given us a mile long list of wheelchairs that needed to be replaced or repaired. I had called Chris last night and let him know that if I was not feeling better by morning I would not be able to go with them. By the time 7 AM rolled around I knew that I would not be going. In fact I knew that already at 3:30 AM but felt that it would be better to wait until 7 to share the news with Chris. Fortunately Ruby was able to go along with them so they should still be able to finish the work in a few days. I guess one good thing about being sick is that you can get a few things done at home that would not otherwise get done. No I didn’t mow the lawn, wash the windows, or paint the house even though all 3 are needed, but I managed to get a good start at putting a web page together. With the help of David More, a good friend that goes to my church in Lynden Washington. I had things up and running by evening. There are still a few things that I have to do on it to get it just the way that I want it but at least its working and I am far enough along with it that I can sometimes go for nearly an hour with out having to contact Dave. THANKS AGAIN DAVE! Thursday, June 7, 2007 2:38 PM. It really is! I still can’t remember if it was French toast or pancakes but who cares. Most of my day has been spent on the computer. My combination blogg and web page is up and running well enough that I can tell people where to find it. That is providing that the lightning storm that just passéd through has not knocked out the Internet. A few times there it was so close that it set off my car alarm and one time I heard the thunder while watching the flash. One good thing about it though is I think that it may have shorted out my neighbors electric razor wire fence. The remaining neighborhood cats will all be happy about that provided they were not struck dead by the lightning. 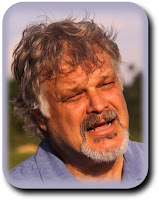 Any way my web page can be found at http://www.dickrutgers.com/. On most computers you only have to type in dickrutgers.com but I am sure that you will figure it out. I still plan on sending out my journals by e-mail but if any of you would rather get them only over the web just let me know. This is the first time I can ever remember not hearing the doorbell for 2 days in a row. I think that before this 2 minutes may have been the record. I am feeling a bit better today and am even considering letting the kids know that I have not been away with Chris to Xela since yesterday morning. They may want to kill me when they find out that I have been at home all of this time. The rest has been good but the silence is getting deafening. I have been discovered. I guess that must have sneezed to loudly because the kids started knocking at the gate at around 7 PM last night. Truth is as nice as the 2-day rest was I really missed the kids. I still was not up to cooking for them last night but it was good to see them. Abner could hardly Waite to show me the new pair of shoes that he bought with the money that I had given him for his birthday. I must admit I was a bit surprised when he showed me the wheels that were imbedded in the back. I am not sure where he will be able to use them since there are very few sidewalks that even a bicycle can maneuver. Oh well at least he is proud of them. I still did not venture far from home today but managed to get a few things done outside. I guess that if I had to get sick I at least picked the right days. Ralph Terpstra and his grandson left the day that I got sick and we have a large group coming in on Monday. John Bosman a friend from my hometown in Lynden Washington is also arriving on Monday. Actually John was my boss for over 12 years but now he is my friend. :<) Earlier next year he plans on bringing in a large group from his church so this will be a bit of a scouting expedition for him. He is bringing in a years supply of medicine for Erica. She is the girl that has the skin disease that gives the skin on her entire body the appearance of rotting leather. Over a year ago we got her in to Hermano Pedro to see a skin specialist who recognized what she had but were unable to get the family to bring her to Guatemala city for necessary treatment. 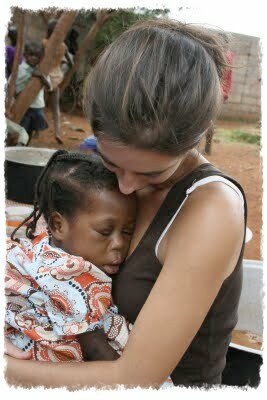 Thanks to a US doctor that I met who hiked to Erica’s home with me, it was finally determined just what to do for her. Please pray for good weather next Thursday because that is when we plan on going to see her. 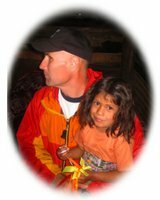 Part of the hike in will be through a slide aria where several homes including those of Christopher’s family were destroyed during the rains of hurricane Stan. I would feel much better if it were not raining when we walked through this area. Part of the home of Christopher’s Grandmother hangs over the cliff that we have to walk under. By the way the family still lives in the rooms of the house that are not crumbling over the cliff. The government has condemned this area but these families have no else to go. It was Lady’s (Calin’s sister) 11th birthday today but her family had no money to give her a party. Besides that now that her step dad has been kicked off from the police force he is spending a lot more time at home. He is not exactly the type of person that would celebrate the birthday of one of his step kids. I was still not feeling well enough to feed all of the kids and certainly not up to having a birthday party so I loaded them all in my Land Cruiser and the 8 of us headed out to Burger King. After the kids ate they played on the playground equipment for about an hour. Abner discovered that his new shoes that have the wheels in the heals go really great down the slide. Since the kids had not eaten at my house in a few days they all acted like they were starved. After playing they told me that they were still hungry, so we all got back into the car and headed to the new mall to get some ice cream. This also proved to be a great place for Abner to try out his new shoes. He managed to get almost as many stares as Byron does with his head controlled wheelchair. I don’t think that to many Guatemalans have seen shoes with hidden wheels before. I had to ask him to cool it a bit after a few near collisions with other shoppers though. While we were leaving the mall we met Alex. Alex is 12 years old. Alex is generally part of the group but has found work at a car wash. So far he is going to school in the mornings and working in the car wash in the afternoon and all day Saturday. He gives the $18 a week that he makes to his mother so that she can feed the rest of the family. I made sure that Alex got an ice cream and told him to drop over at the house later. A short while after getting home Alex showed up with one of his brothers and a friend. Oh well, Now that 8 of us had already eaten I only had to make something for these 3. It took a few attempts to get all of the kids to leave but with the exception of Calin and Daniel I finally got everyone to go. Calin and Daniel are staying the night; their step dad is at home. Fernando and Elder went with me to the orphanage today. I am not quite 100% yet but felt well enough to get out for a while. 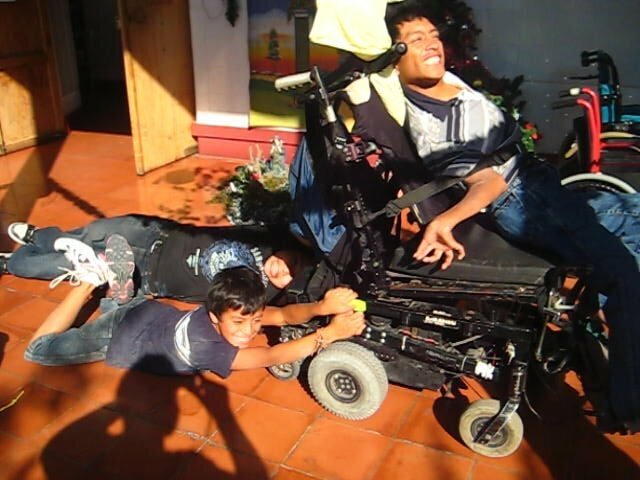 Both Fernando and Elder quickly became friends with Elmer and Minor, the 2 brothers that are new to the orphanage. 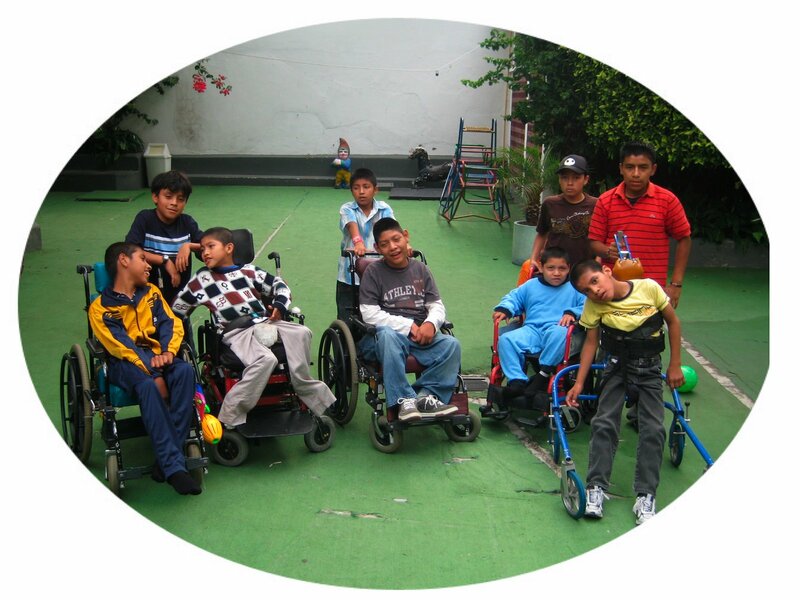 If they end up staying at Hermano Pedro they are definite candidates for our teacher. I brought my camera today and did quite a bit of filming of Sam Sam. The only time that he got out of his crib was during the half hour that I was filming him. It is such a shame because he is a completely different kid when he is not locked up. I have posted a short film clip of Sam Sam on my web page http://www.dickrutgers.com/ if you care to see it. Even though I have known this kid for 6 years I still have a difficult time holding back the tears whenever I see him being locked up all day. We didn’t take any of the orphanage kids to lunch today but I did all of the necessary paper work so that Byron and Moises will be able to come to church with us in the morning and then come to my house and play with the kids in the afternoon. Even though none of the orphanage kids went for lunch with us I did not get buy without taking Fernando and Elder out for something to eat. On our way through the park we met a couple that I often see at our church. 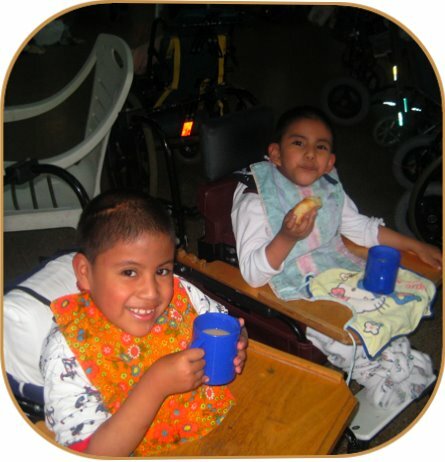 When we got talking I found out that they were looking for an orphanage where they could do some volunteer work. What a Godincidence, I just HAPPENED to know of one. After lunch I gave them the grand tour. They apologized for getting terry eyed but I told them that I had not noticed because mine were still a bit clouded up from being with Sam Sam. I think that they will be back. When we got home tonight I decided that it was going to be pancake night. Generaly if there are 6 kids in the house when I start cooking I can figure that there will be at least a dozen by the time the food is on the table. Then there are also usually a few stragglers that I have to make sandwiches for after we have finished eating so tonight I decided to make enough food on the first go around. Guess what? There is always a first time for everything. Tonight the count stayed at 6. Not only that but Calin who generally eats more than any other 3 kids put together came down with a stomach ache and didn’t eat. After supper we decided to go from house to house seeing if any one wanted some pancakes. That kept us busy for about 30 seconds. The family at the first house that we stopped at devoured them all. I hope that this did not start a new neighborhood policy though. Fearing that they perhaps thought that not only do I feed all of the stray kids in the neighborhood but I am also starting to cook for all of the families, I had Abner explain that this was just a one-time deal. 4 of the kids and myself stopped by the orphanage to pick up Moises and Byron at around 10 this morning. The nurses told us that Byron had gotten a bit jealous of the attention that one of the new boys was getting from a few volunteers and had tried to push him out of the way with his power chair. Im glad that I had reinstalled that Micro switch. No one was hurt but Byron knows better than to try some thing like that. He was not a happy boy when we left the orphanage without him. We had a wonder full church service. I love the bilingual services that we have. The use an overhead to project both English and Spanish words on the wall. Not only are the songs sung in Spanish and English but also every now and then we have a visitor or 2 that knows them in a different language. When the service is over our pastor goes riding off on his motorcycle with his pony tell waving in the breeze. He may not be as conventional as some that I know but has a great ministry not only in the church but is doing bible studies with the police department of Antigua. 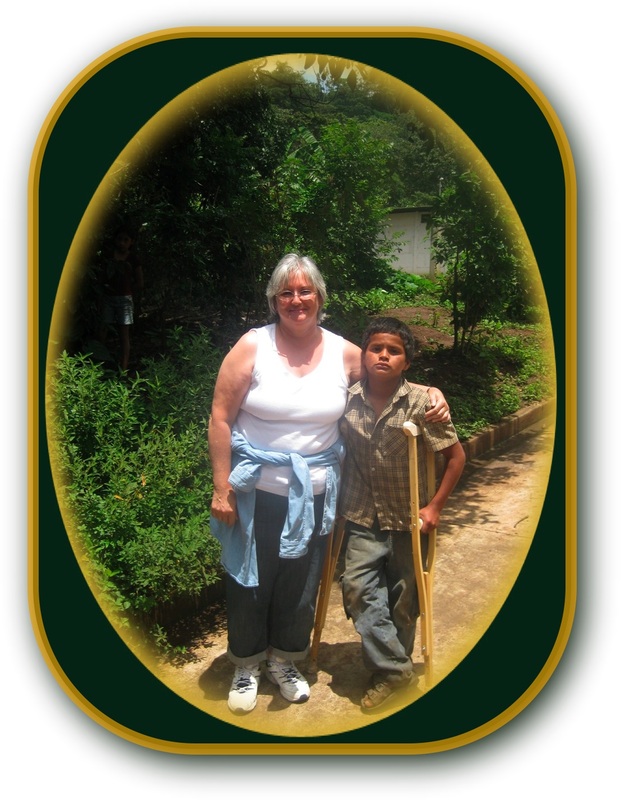 At around 4 PM it was time to take Moises back to the orphanage. The trip back normally takes about a half hour but it is nearing election time and many of the political parties were having rallies out on the streets. As it gets nearer to election time the rallies generally become debates, then after the debates come the riots and after the riots it gets down right nasty. This election I’m voting for the party that blocks the least streets and burns the fewest busses. Actually since I am a resident and not a Citizen of Guatemala I don’t have the right to vote. Well it is getting late and I still want to get this journal out tonight so I think that I will close for now.